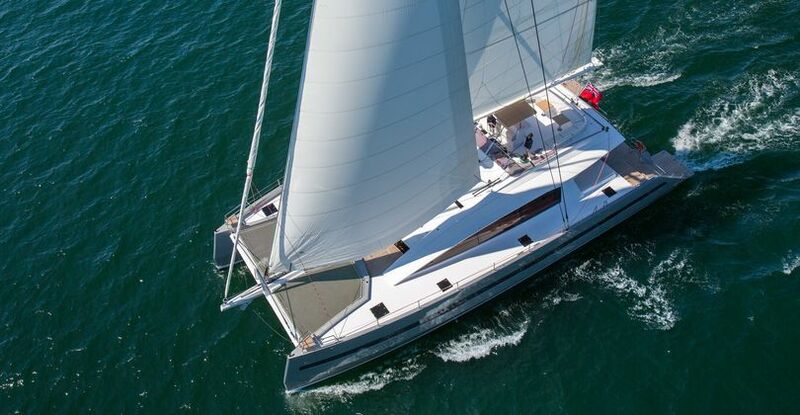 JFA Yachts announces delivery of Long Island 85 Yacht WindQuest – Superyachts News, Luxury Yachts, Charter & Yachts for Sale. 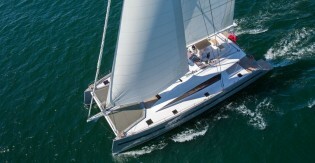 The WindQuest yacht is equipped with 2 x 380HP engines and 2 x 27kW generators. At her economical speed, WindQuest motors at 8.6 knots for a fuel consumption of 21 l/h and can reach 12.9 knots at top speed. Numerous deck lockers allow the stowing of fenders and mooring ropes as well as all the toys (inflatable SUP boards, snorkelling equipment, wakeboard…). On the superyacht WindQuest, a large garage opening on the aft platform has been provided for stowing 4 bicycles. Outside, there is a large aft cockpit with a seating area on starboard and another one on port with a dining table, sunbeds either side, and a day head. On WindQuest yacht the cockpit can be enclosed using removable panels of seethrough canvas.